A collection of personal Interviews with celebrated leaders, entrepreneurs, corporate honchos or any success stories. Chloe Rachel Gallaway had a dream. A dream to write her story…and what a story it is! As you’ll discover, her life has been anything but normal! Read ON! She is an Intuitive Writing Coach, as well as the Founder of Winged River Writer, which facilitates writers’ groups and individual writing programs. Her autobiography, “The Soulful Child: Twelve Years in the Wilderness,” hits shelves on September 23rd. Chloe’s childhood was spent in the mountain wilderness of New Mexico in the 70’s and early 80’s with her parents and five siblings. Her life was simple. No running water, no electricity, no calendars, and for the most part, no people besides her family. In fact, she says she doesn’t even know her exact birth date. Her memories include encountering bears, and riding a horse off the side of a mountain…not your typical childhood memories! Her parents were very much in the world before they met, but were part of the Counter-culture movement in the 60’s. Her father was a talented musician who’d attended an elite private school. He was on the verge of fame, and claimed Jimi Hendrix and Janis Joplin as friends. Her mother was a ballet dancer. They met in 1968, fell in love, and not long after, disappeared from the world together. Her first twelve years were spent primarily with just her parents and siblings. They were homeschooled and lived in nature. At twelve years old, Chloe was suddenly part of society again, and spent several years in foster care. She says you’ll have to read her book to find out more! Between the ages of twenty and thirty, she thought about writing her own story many times, but she was doing a lot of emotional healing at the time, working through her relationship with her parents. Chloe had gotten married and had her first child, a girl, and decided to take the baby to meet her grandfather. He still lived in the small shack where he’d raised his family in the wilderness of New Mexico, and the whole experience, as she put it, “cracked me open” and that was when she knew it was time to make her dream real. It was time to share her unique story with the world. She realized that her childhood had been the perfect environment to be a writer. With no technology to distract her, she often walked through the woods alone, smelling everything, hearing everything, seeing everything. She lived truly from a place of awareness. When she rejoined the world, however, she learned to block who she really was, like most people. She knew she needed to tap back into that awareness to write her story. “Being a writer,” Chloe says, “is just absorbing that (awareness), and trusting your voice, and letting it come onto the page.” She had longed to write her whole life, but worried that she wouldn’t know how. As a young adult, she took classes, did workshops, and even studied under New York Times Bestselling author, Jennifer Lauck, an American journalist who wrote her own memoir titled, “Blackbird.” But, still, she worried about marrying the two aspects of writing, the heart and the head. She studied the technical aspects of writing, such as point of view, exposition and scene, and realized that sometimes these things can block the flow of your process if you’re not connected to the awareness of life. So, she learned energy work, how to stay grounded with yoga, and the importance of having a spiritual connection. She credits her childhood for her strong core connection. Chloe is a mom, and a Christian. She incorporates all these things in her teaching, but encourages her students to have their own methods. Everyone is different, and each person will have their own preferred way to ground and connect to a higher energy. Chloe says writing from the head can be difficult when you are learning the craft. Your mind can start to problem-solve, getting in the way of your intuition. On the flip side, writing strictly from the heart can trigger vulnerability, causing you to hold back. She helps people write through the pain, through the guilt, as well as teaching the structure of a good story. Her goal is to help others create something they can hand someone else, and make an impact in their life. Her book is about connection, she says. Something she craved growing up in near isolation. She saw the “real” world only enough to know that her life was very different from most children. Writing a book is like having an intimate conversation with someone without having to be there. As entrepreneurs, we want these conversations, but to reach as many people personally would burn anyone out. “Ground in every moment,” Chloe says. Find your own way to stay grounded in your spiritual connection, whatever that may be. Also, get empowered by your own story. She facilitates 3-day retreats for writers, called “Full Expression Writing Retreats,” where she totally immerses her students in nature, disconnected from the chaos and stimulation of modern life, and teaches them to connect to their intuition, as well as learning the craft of writing. Chloe wants to give you a free 2-part gift! Part 1: She created the quiz, “Are You Meant to Write a Soulful Book?” and if you submit your answers to her, she’ll personally contact you to help you understand your story and why it matters, and help you connect with it in a more meaningful way. Part 2: A FREE sample of her book, “The Soulful Child”! You’ll get an entire chapter as a sneak peek! Any facts, figures or references stated here are made by the author & don't reflect the endorsement of iU at all times unless otherwise drafted by official staff at iU. This article was first published here on 17th September 2017. 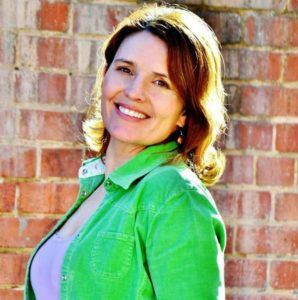 Lisa Meisels is an Online Visibility Strategist for Health & Wellness Coaches.